Dave Hobbs takes the “show me” approach as he passes along his experience in the bay with engine performance problems. 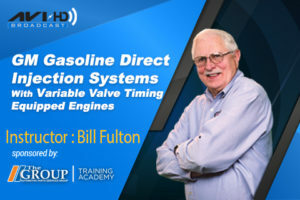 Using parts, tools of the trade, and hands-on exercises he covers every topic, including up-to-date ignition, fuel injection, starting, charging and emission systems. Note: The A8 Test Prep Study Guide is NOT downloadable and may only be viewed online. If you do drivability work at your shop this ASE Test Prep video and accompanying AVI Test Prep Study Guide is for you. While many test prep programs simply go through a sample list of questions you “might” find on an ASE test, AVI instructor Dave Hobbs takes the “show me” approach as he passes along his experience in the bay with engine performance problems. 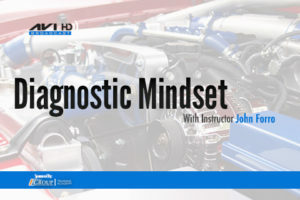 Using parts, tools of the trade, and hands-on exercises he covers every topic, including up-to-date ignition, fuel injection, starting, charging and emission systems. 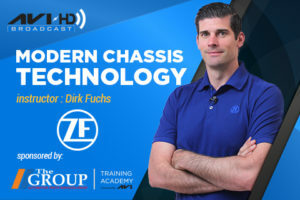 In the sample test questions Dave uses an OBD II fuel injection simulator, multi meter, scan tool and lab scope to drive home the points that will help you understand the topics that will come up in the ASE A8 test. Why memorize test question answers when you can learn the necessary subjects in a practical and hands on manner? 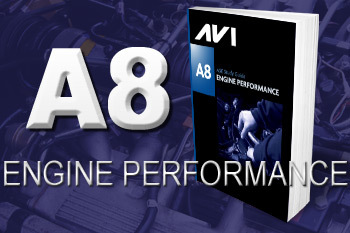 Whether you’re a veteran wishing to brush-up or update yourself on engine performance or taking the ASE A8 for the first time, this in-depth course is guaranteed to be time and money well spent! Note: The A8 Test Prep Study Guide is NOT downloadable and may only be viewed online.